This page contains all website entries whether pages, posts, updates, or blog entries that are tagged under Neurogenesis. I’m a huge fan of nootropics, substances alleged to increase mental performance. The problem with most nootropics is that they have no measurable effect. I call this the “effectiveness problem” and I find it is common to virtually all commercially available supplements. Summary: Lion’s Mane Mushroom has become one of nature’s most potent nootropic supplement for the brain. There is evidence that is can permanently enhance brain function as well as protect the brain and promote NGF and neurogenesis. Lion’s Mane Mushroom (also known as Hericium erinaceus), or rarely “monkey head mushroom,” is a traditional medicine that’s developing a strong fan base around the world. 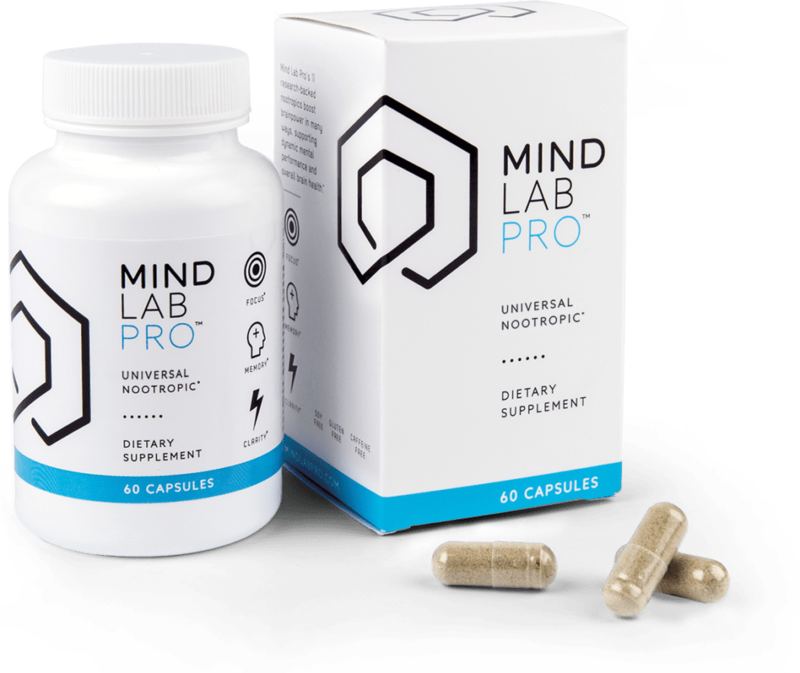 It has been voted as one of the top 10 natural nootropics of 2018 in terms of best selling, according to Nootropics Depot, as well as most beneficial. The list also included L-Theanine, Citicoline, as well as L-Theanine & Caffeine synergistic combo. The profound effects it has on cognitive function while being neuroprotectant, as well as supporting NGF production, make it an appealing nootropic. The nerve growth factor is a discovery from 1986 that led Dr. Rita Levi-Montalcini to win a Nobel Prize. NGF is one of the primary building blocks of neuroplasticity. Furthermore, it is part of a group of molecules responsible for neurodevelopment. A go-to tonic for years, Lion’s Mane (Hericium Erinaceus) is native to Japan, China, Europe, and North America. It offers many benefits to the brain. It’s in use as an alternative medicine to treat neurodegenerative disorders. It is becoming more popular after the discovery of connections to promoting neurodevelopment. It raises the quantity of NGF in the brain, which improves cognition by decreasing inflammation, promoting neural growth, and enhancing brain health. Furthermore, studies verify that Lion’s Mane is a powerful neuroprotectant that can be valuable in the treatment of a variety of conditions ranging from cardiovascular health to obesity and even to certain types of cancer. Thus, Lion’s Mane has become a novel nootropic. What Are Lion’s Mane Mushroom Benefits? Lion’s Mane Mushroom benefits are diverse. One of which is that it boosts cognition, especially in memory and recall speed. Additionally, it helps in maintaining concentration, increasing mental stamina, and heightening focus. It is one of the most praised nootropics due to being organic and natural. Furthermore, it provides a variety of benefits, often surpassing pharmaceutical products. Lion’s Mane Mushroom extract has an impressive ability preventing and healing damaged nerves. Studies support the claim of Lion’s Mane promotion of neurogenesis. The promotion of neurogenesis is also called neurodevelopment or generation. Neurogenesis results in long-lasting and continuous improvements in brain health (R) (R). In a study by Tohoku University on Lion’s Mane and nerve growth states Lion’s Mane has most profound impact on nerve regeneration. Lion’s Mane mechanism of action is completely different from other nootropics. Lion’s Mane enhances cognition by increasing the amount of nerve growth factor in the brain (NGF). Nerve growth factor is one of a group of molecules named neurotrophins that are essential for the growth, development, maintenance, and survival of neurons. A discovery in the 1980s that led Dr. Rita Levi-Montalcini to win a Nobel Prize – NGF is confirmed to be one of the primary building blocks of neuroplasticity. The presence of sufficient NGF improves cognition by stimulating growth as well as axons branching. Inadequate NGF, on the other hand, decreases brain functionality by leading to neuronal degeneration and eventually, the death of nerve cells. The more axons existing, and the better health they possess, the more efficiently impulses are transmitting. The more efficiently impulses are transmitting; the better cognition and overall brain function are. Another way in which NGF enhances cognition is by promoting myelination. Myelin works much like an electrical insulator, raising the speed which impulses progress onward the axons by increasing the electrical resistance of neural cell walls. Furthermore it inhibits the pulse from dissipating the axon. Myelination lays the groundwork for the restoration and regrowth of damaged axons, providing a track along which regrowth occurs. This activity is a crucial process in preserving the brain from the ravages of aging and is useful in the treatment of neurological complications. Some of which are multiple sclerosis and psychiatric disorders including depression, schizophrenia, dementia, as well as autism and Alzheimer’s disease. Ongoing research hint that NGF production stimulated by Lion’s Mane may have anti-anxiety and mood enhancing effects. Furthermore, it could also facilitate weight-loss by improving metabolism. How To Take Lion Mane Mushroom? The lowest effective dosage is 500 mg and the limit per day is 3000 mg. However, higher doses don’t necessarily result in more benefits. A 1000 mg dosage once or twice a day is what I find the most beneficial for my needs. I remember coming across posts on Reddit r/Nootropics where people were going really, really next level megadosing this. None of which reported anything more than a “slight” psychostimulant effect though – I am going to try to find that thread. What Are Lion’s Mane Mushroom Side Effects? There are barely any side effects that arise from taking Lion’s Mane. The most common side effect is an itchy skin which is likely due to the increase in Nerve Growth Factor. It most likely is the cause and could be a good sign that NGF levels are increasing. Lion’s Mane is an exceptional, one of a kind, organic nootropic that has many health benefits; additional to its nootropic ones. Research and clinical trials support its wide variety of perks. It’s a nootropic to consider if you are looking for profound benefits to memory, cognition, detoxification, physical, and brain function. It is one of the few nootropics I have been continuously refilling from the very first use. After reading about its memory and nervous system injury healing properties, I figured I’d give it a try. I simply purchased a bottle and take two after putting food in my stomach. Previously I had spent a year on adderall and endured more physical anxiety than I should have had to. I do feel more…evened out, if that makes sense. Less on edge and less anxious than I’d ordinarily be. Still on the lookout for other effects, and still willing to accept it could all be a placebo, but I’m remaining curious. How do we get the benefits of dried Lion’s Mane Mushroom without tasting the bitter water? In most cultures other than the US, bitter is an acceptable flavor, and nutritionally acceptable. You can explore other cuisines where the line between medicine and food are more blurred. TCM (Traditional Chinese Medicine) frequently uses bitter herbs/mushrooms/etc in a soup, with other ingredients to balance the flavors. In Asian medicine, mushrooms are consumed as food, and as teas, as well as extracts. You could use the mushrooms in a soup where the broth contains the water used for rehydration, you can boil the mushrooms to make a tea or extract and add flavourings to those. Is Lion’s Mane Mushroom sattvic? Satvik is a living term. This changes according to the situations and purposes. Satvik is something that is pure in purpose. All mushrooms grow in a decaying substrate. They grow in places devoid of sunlight. They are scavenger in nature and feed off the dead substrate. They are normally heavy to digest, cold in nature and increase Kapha according to Charak Samhita. I personally believe that mushroom is not exactly satvik in nature as they grow in a decaying medium. However, as said before, satvik is a contextual term. Satva guna is a state of mind. Basically, food that is earned through pure and righteous means, in a non-violent way, the food that does not cause distress or disgust to anyone and endows not only health but bliss to the soul, mind, and body, is called satvik. It is important to sustain human life at any cost because human life is the only entrance to the state of salvation. Therefore, any food that helps to sustain life for the evolution of the soul is considered satvik. For example, if there is nothing else to eat, in an area with a sparse availability of vegetables, fruits, and grains, in that case even non-vegetarian food(considered rajasic) can be consumed and will not affect the satvik state of mind. But even vegetarian food that is foul smelling, stale, cooked or earned with an unhappy mind, and unappealing to the tongue is not satvik. Mushroom has a natural tendency to trigger susceptibility towards rhinitis and cause other Kapha related problems. Anything that has a natural tendency to cause harm is not considered satvik. For this reason, also, I think that they should be consumed only when other vegetables are not available or affordable; or consumed once in a while. Otherwise, it is not satvik. Does eating Lions Mane Mushrooms reverse Alzheimer’s? Lion’s Mane promotes NGF which has in test tube experiment generated 60% neurite outgrowth. It human experiments it has notably diminished mild cognitive impairment, the precursor of Alzheimer’s dementia. It reduces amyloid-beta production, which form plaques toxic to healthy neurons, due to its anti-inflammatory properties. So far, there are no cures for Alzheimer’s disease. Prevention is multifold: a life-style of regular adequate sleep (brain repair time includes clearing debris), both aerobic and weight-bearing exercise (promotes mitochondria synthesis and efficiency), and ideally intermittent fasting (promotes autophagy – the process where cells of the body are forced to use cellular scraps for synthesis of what is needed). Autophagy strategy is extremely effective for long-lived health. As an aside, B12 deficiency can cause dementia as well and can compound vulnerability to Alzheimer’s.